May has become one of my favorite months of the year. From Mother’s Day to graduations and Memorial Day, there are numerous reasons to celebrate during the month of May. On Cinco de Mayo, I had the pleasure of teaching a “yoga fiesta” class that made me reflect on the holidays and yoga. No, I’m not Latino nor do I have any familial connections to the Battle of Puebla but I do enjoy celebrating Cinco de Mayo. Frankly, I like holidays and special occasions for the simple act of celebration. I love to share joyous moments with my friends and family and connect with new people during these special times. Do we have to wait for a holiday or special occasion to celebrate? My answer is no! We can and should celebrate everyday. Taking inventory of the good in our lives is a celebration. A simple practice of expressing gratitude daily allows us to celebrate with awareness. Personally, I believe that the practice of yoga is a perfect way to celebrate daily. 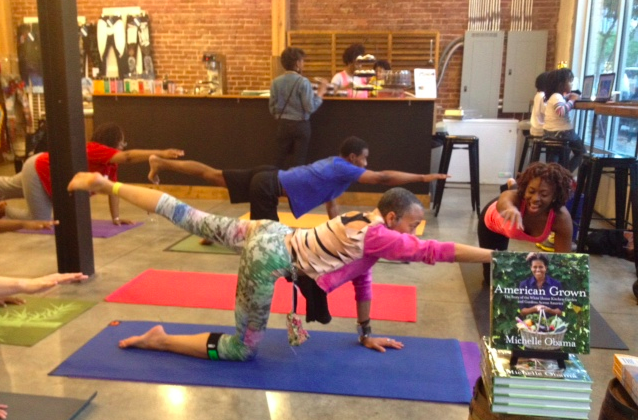 Yoga allows me to celebrate who I am and encourages the celebration of others. My yoga mat becomes my playground as I celebrate exploring my body, my breath and ultimately my Spirit. My yoga mat moonlights as a dance floor as I wave my hands in the air (like I just don’t care) to salute the sun or strike a pose with Natarajasana. 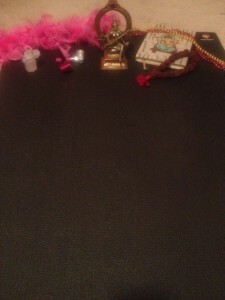 I experience the power of sound as I chant mantras or recite prayers for myself, loved ones and community. 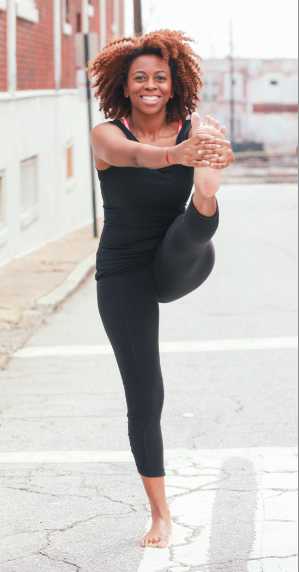 My whole being feels nourished when I practice yoga, no matter if I’m in a room full of yogis or practicing home alone. Taking a big deep breath, affords us the opportunity to observe the gift of our bodies being oxygenated. The celebration is never the same but it is always gratifying! 1. Close your eyes and take 5 deep breaths to celebrate your body systems working properly or getting better. 2. Write down 5 things that have gone well for you today to celebrate gratitude. 3. Do 5 cat/cow stretches (or any yoga pose) to celebrate flexibility and balance. 4. Take 5 big gulps of water to celebrate nourishing your body. 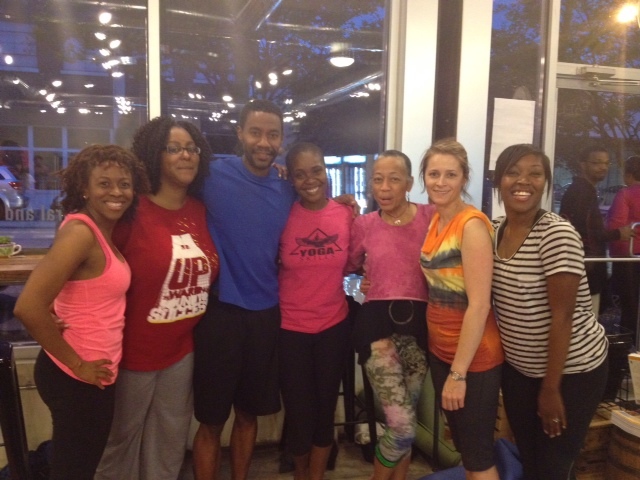 Shavonna Sumlin is the co-owner of Om Point Yoga located in the Castleberry Hill neighborhood of Atlanta. She enjoys teaching beginners to advanced practitioners. 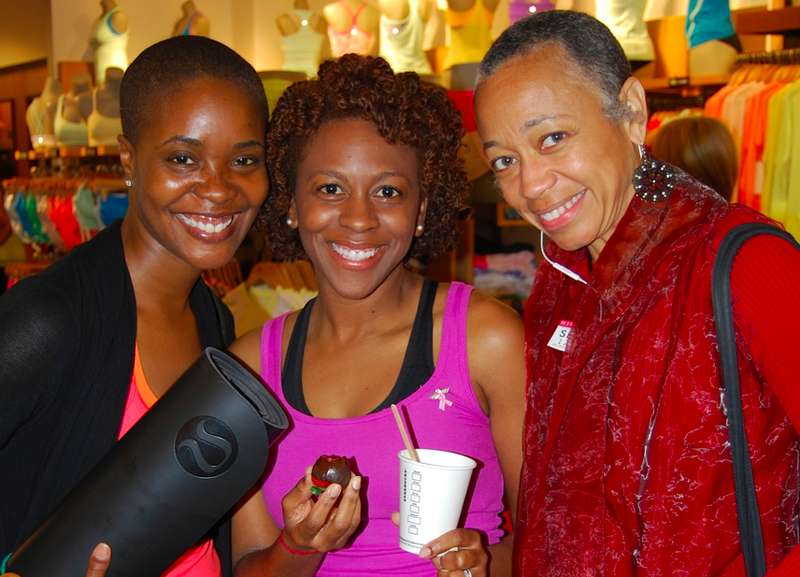 Shavonna is also a certified recuperative yoga specialist and shares recuperative yoga with cancer survivors. She promotes “YogAccessibility”, a term coined by her company, by making yoga accessible to anyone of any ability who seeks balance, health, and healing. Shavonna is an occupational therapist and certified lymphedema therapist. When she’s not on the mat, you’ll find her in the clinic working with patients on achieving their rehabilitation goals.